The group currently operates Cheever's Cafe, Iron Star, Red Primesteak, Republic, Tucker's Onion Burgers, Kitchen No. 324, The Drake and Barrios. 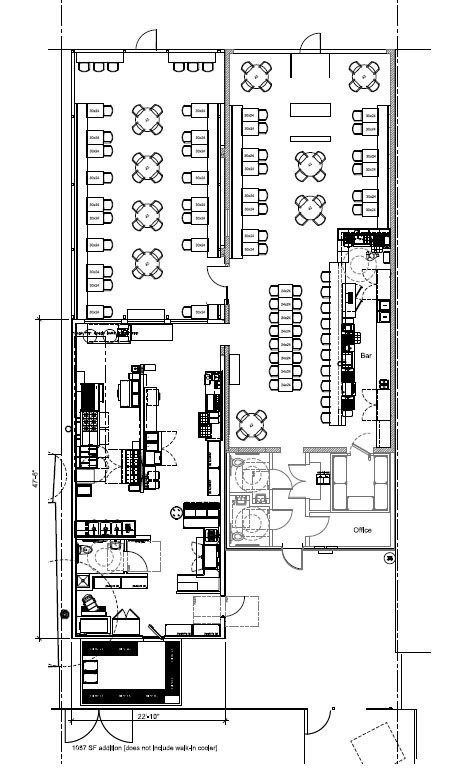 Most of the restaurants are in the the urban core, but Mexican Radio will be their first venture in the popular Plaza area. 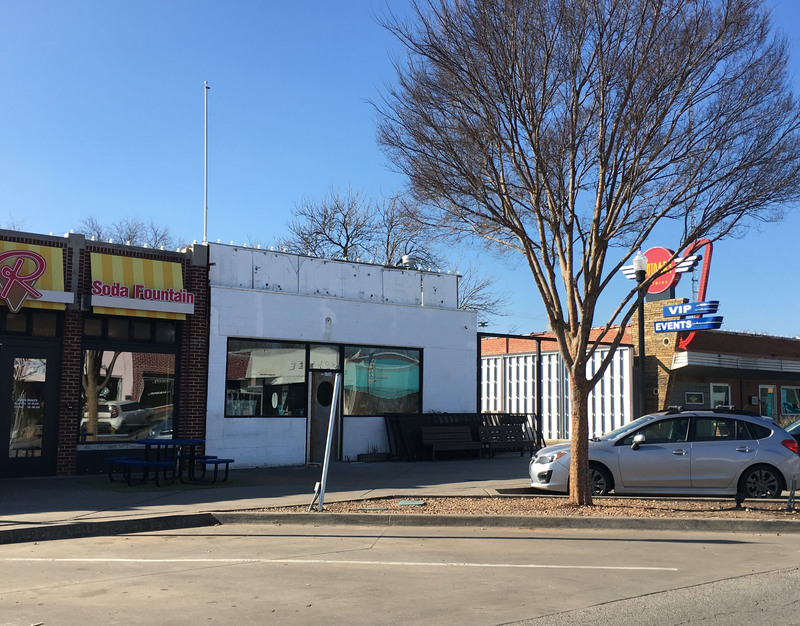 The first new concept for Good Egg in two years will involve a full renovation of the former Empire Slice House space, which moved to expanded quarters just to the west. 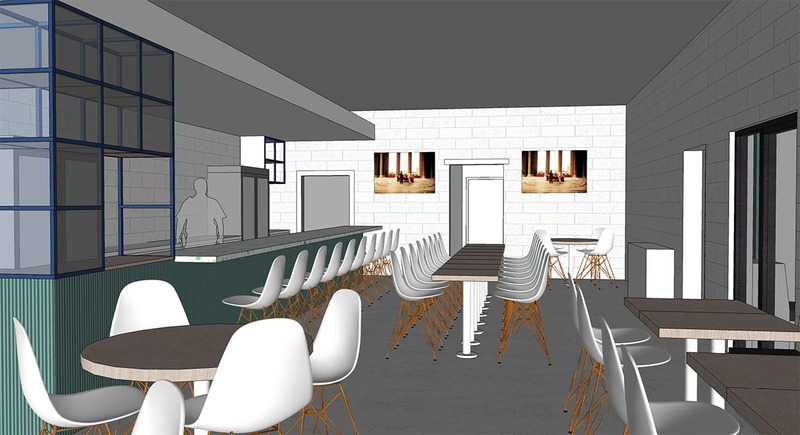 "We are creating a laid back taco shop. A small menu with mostly tacos, a few apps and salads, one dessert. Ice cold beer, signature frozen margaritas and swirls and a handful of fun cocktails. While the food items will be rooted in Tex-Mex, this is not a taqueria. There will be original items that can't be pushed into a specific Mexican category and we don't want to get into the 'that's not real Mexican' thing. You could say non-denominational tacos; a taco for everyone! Music, our playlists will be a big part of the experience, focusing on music from the MTV generation.”, Paul said. 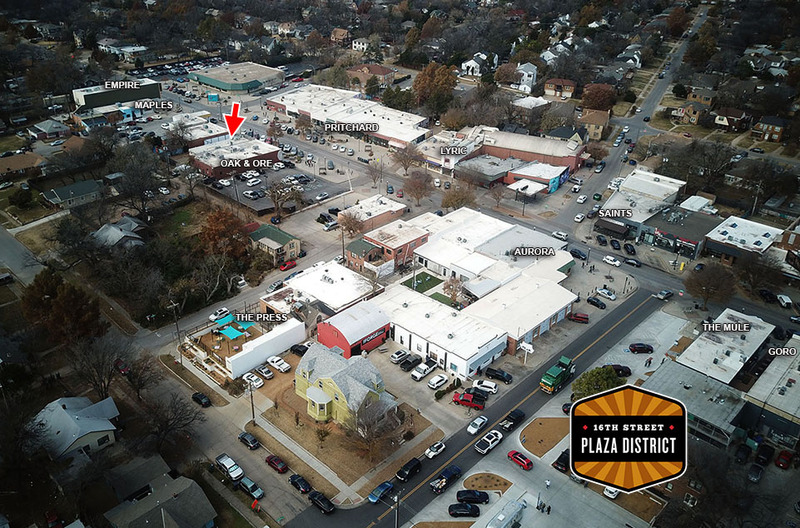 The new design will add a large kitchen to the southern half of what was a patio, while completely gutting and re-working the existing building into a dining room and large bar area. 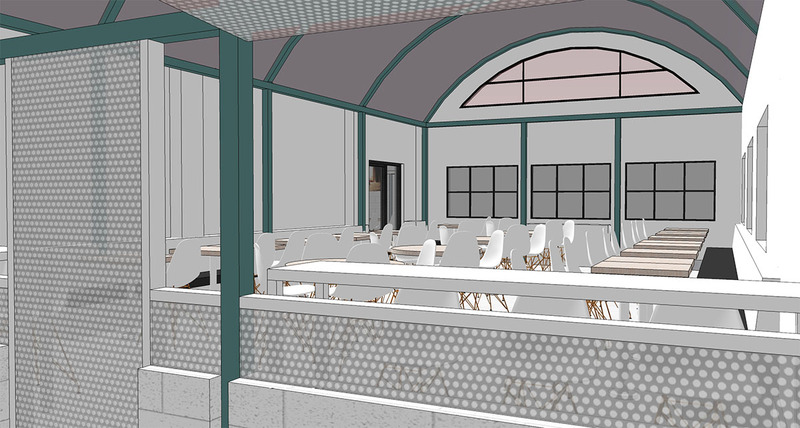 There will still be a large patio which will be semi-enclosed with a polycarbonate roof. Design is by Gardner Architects. 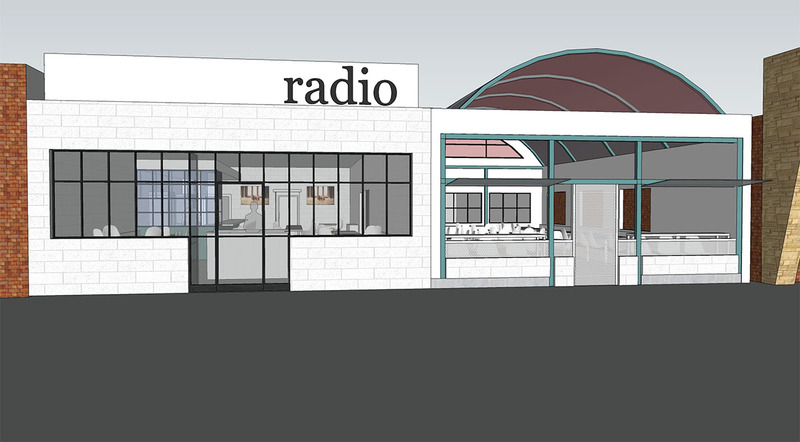 Mexican Radio hopes to be open this summer.